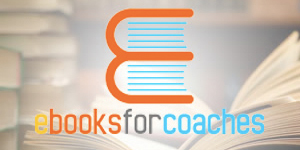 E-books for coaches is an initiative and idea created by Gerard O’Donovan, the owner and founder of Noble Manhattan Coaching and the CEO of the IIC (The International Institute of Coaching). As part of his vision and quest to help coaches to be all that they can be, and to assist them both on the road to mastery within the profession and to build a large sustainable and financially rewarding practice, he wanted to create a site where coaches could easily access information that would be of huge interest and benefit to qualified coaches and student coaches alike. 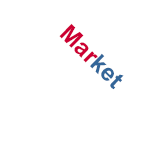 You are welcome to place an Ebook on the website to be sold, or to give away for free as part of your marketing scheme. Ebooks for Coaches will post on their social media pages with a link to your ebook, as well as market the website through Noble Medias’ various platforms. Are you ready to find out more about how you can market and/or improve yourself/your business? Fill out the below form and let us know as much as possible about yourself, the product/service you’d like to market (or improve) and we will do our best to offer you a marketing/improvement package that best suits your needs. “For a one-off fee, you are free to upload as many Ebooks as you would like on the website for a year. We will then sell and market them through our social media accounts on your behalf.